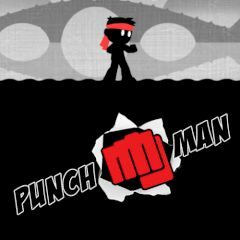 Punch man is an ultimate character, that has enough skill to deal with several enemies at once. His attackers know that, so they decide to form huge waves and surely kill punch man. Can you adapt to these impossible conditions and survive? Use arrow keys to strike and turn left or right. Get points for every enemy and don't get hits on your back!